Fundamentals – This is our 6 week basic obedience class where you and your dog will learn how to work as a team. We’ll go over basic learning theory, how it applies to dog training, and how to integrate what you learn in class to your daily routine so training isn’t a chore; it’s just a simple part of life. “Fundamental” behaviors “sit”, “down”, “stay”, loose leash walking, “leave it”, hand targeting or “touch”, recall to their name, and polite greetings without jumping on people will be covered. Have a new dog you just adopted? Have a dog that knows how to sit and stay at home but when you step out the front door they seems to forget what you think they should know? Have an older puppy that now needs to learn adult manners? Want to have a solid training foundation to move on to more advanced training in the future? This class is for you! Open to dogs 5 months and older. First week is a mandatory human-only orientation. We will also work on reducing the amount of reinforcers your dog needs to perform and increasing distractions. For the test, you will not be allowed to have food or toys on you so this is an important component to this class and not a subject that other training schools spend much time on. In this 6 week class you will learn management skills and training exercises in a safe and supportive environment to make your walks more calm, enjoyable, and safe for you and your dog. The goals of the class are building confidence, focus and attention between you and your dog, and creating positive associations with other dogs. To attend the class you will be asked to fill out behavior questionnaire and come in for a quick, free, assessment before registration. First week is a mandatory human only orientation. Let’s Get Real is a 4-week class designed for dog and handler teams who want to take the skills they learned in Fundamentals and apply them to “real life situations.” Using the tools already in our toolbox – and adding some new ones – we’ll practice common scenarios such as An Appointment with the Vet, A Walk on the Rail Trail, Handling the Holidays, and more. We will focus on each dog’s individual strengths and “up” your training and management skills so both handler and dog feel more confident and at ease out in “the real world.” This class is ideal for teams who want to move on to Beyond the Backyard and other more advanced classes but who want some more practice with the basics first. Registration requires trainer approval. If you have not taken classes with us before you will be asked to explain prior training and/or come in for a free and quick in-person evaluation for placement. Our training classes are not confined to one night a week. Your commitment is matched by Hanna's dedication, follow up, and 24/7 accessibility. Weekly classes provide the tools and instruction. The relationship built with Hanna provide you with a partner in improving your relationship with your dog well beyond the end of class. For owners who say, "My dog can come when called, walk nicely on a leash, sit &down...but only if I have a pork chop around my neck!" Advancing the basics to enhance the bond with your dog as the reward! Hanna will utilize Denise Fenzi's book "Beyond the Backyard- Train Your Dog to Listen Anytime, Anywhere!" as inspiration. Do you and your dog have cabin fever? 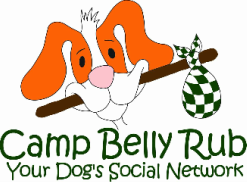 This is a great course to build the interaction, have fun, and mentally engage your dog! The course incorporates shaping exercises and tricks, balance, body awareness and strengthening, and confidence building through games. Trainer approval is required for this course. You may be asked to meet with Hanna to determine if this class is appropriate for your dogs' training level. ​All group training classes come with weekly emailed homework notes, applicable handouts, demo videos, and telephone/email support if you have any questions between classes. We keep class sizes small so everyone gets individual attention and instruction. If life gets in the way and you need to miss a class, make-up classes can be purchased at an additional cost by appointment only. Hanna will be teaching Reactive Rover, Beyond the Backyard, and debuting Nose Work Foundations! Tessa will be teaching Fundamentals. Please note the class dates listed for each class in Kingston as they are not going to be held on consecutive weeks due to holidays and instructors' schedules. Since Nose Work Foundations is a class we haven't offered publicly before, here is what some of our "beta-tester" students have said about our classes so far. "Nose work has provided a form of enrichment for Lulu that has not only helped to greatly reduce her demand barking but is also helping her work through some of her reactivity and behavior issues. Hanna’s feedback and support throughout our journey has been invaluable and I wholeheartedly recommend her and her class!" "Rory is a pretty independent dog. Through nose work, we are able to work as team. He finds the odor and I have to pay attention to his body language to determine when he has found it. It helps us build trust with each other and through it, Rory has become a much more confident dog!" "Doing nose work with my dog is like having a superhero decoder ring for invisible things. I can’t know what air currents and molecules are doing, but she does. By learning to collaborate on a skill that comes naturally to her, she makes the invisible, visible. It is the most amazing feeling to have access to the way my dog can perceive the world and even more amazing to develop a nuanced communication about it. It is likely that my dog loves nose work because she gets to hunt for stuff and then eat cheese, which is perfect, because it is a job I couldn’t possibly do without her." "The great thing about nose work is that it engages Eli's mind and body. It is great fun watching him figure out where the odor is located. After we practice I have a tired and content dog." hanna will be available for private consults. Sign up early as class size is limited! ​Hanna believes that the best kind of dog training should put a smile on your face and help you build a stronger bond with your dog. 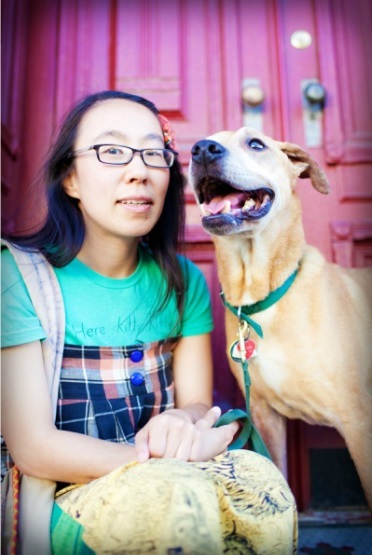 She has previously worked at Animal Farm Foundation juggling everything from adoptions, to shelter dog playgroups, to basic obedience, and behavior modification. 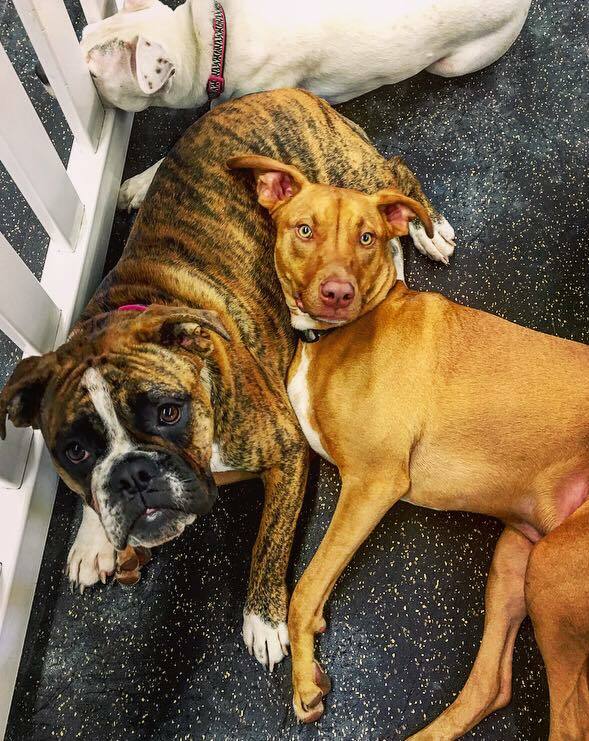 She has taught group classes and private sessions at Dogs of Hudson. She is a CPDT-KA certified professional dog trainer through the Certification Council for Professional Dog Trainers. Puppy Kindergarten – Each week in this class is theme based and simulates a different experience or scenario that a puppy and their owner may encounter in real life; an outside stroll on leash, a vet visit, the kitchen, the living room, being groomed, etc. While keeping with the theme of each week, we’ll incorporate the teaching of basic manners, go over important socialization topics and common puppy problems, as well as have short bursts of puppy playtime where we’ll narrate and discuss dog body language and best practices for monitoring dog-to-dog interactions. This class will help new and seasoned puppy owners learn how to seamlessly integrate basic training and socialization into their daily lives and most importantly, how to keep their puppies feeling safe, confident, and happy. Open to puppies 8 wks to 16 wks with proof of first set of vaccines .First week is a mandatory human-only orientation. Class schedule now forming!!!! Contact us for details. Does your dog bark and lunge on-leash when they see another dog? Are your walks stressful or embarrassing because of it? In this 6 week class we will give you management skills as well as training exercises in a safe and supportive environment to make your walks more calm and enjoyable for both you and your dog. We'll work on focus and attention, building confidence, and creating positive associations with other dogs. To attend this class you will need to fill out a behavior questionnaire and come in for a quick and free assessment before registration. Are you getting pulled this way and that on your walks? Do you lose your dog's attention when you are out and about? If your dog already knows the "Fundamentals" but you want to start using those basic obedience skills in the "real world" this 3 week loose leash walking clinic is for you. We'll work on impulse control around different kinds of distractions, sustained attention, and of course walking with beautiful slack in your leash. We will be working indoors for two weeks and the final week will be at an outdoor location TBD. If you have not taken any classes with us before, you'll be asked to come in for a quick and free assessment before registration.